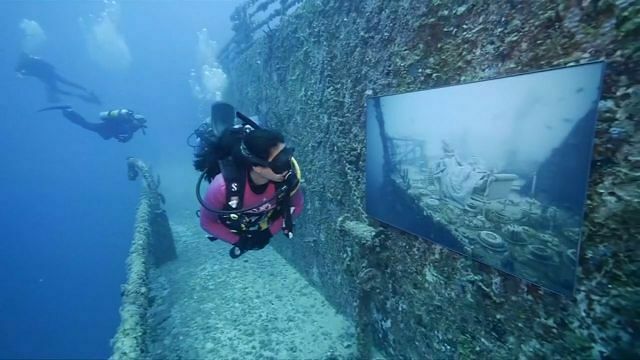 An artificial reef off the coast of Florida is holding art an exhibition. 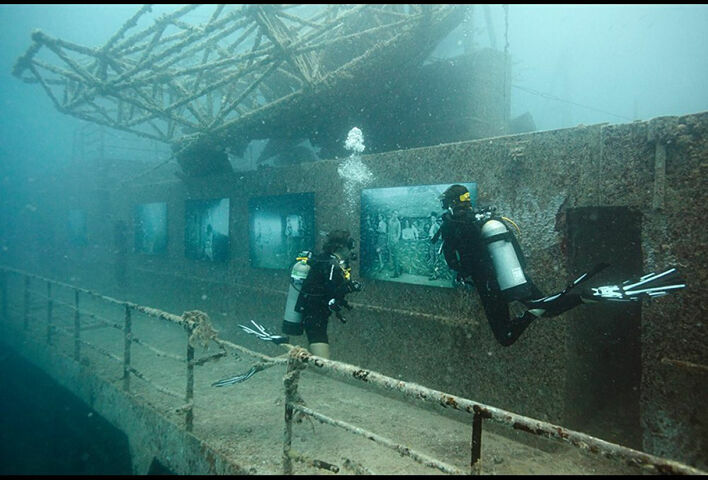 As strange as that sounds it's true, to visit it you have to dive down 90ft where you can see around 12 photos by artist and diver Andreas Franke. 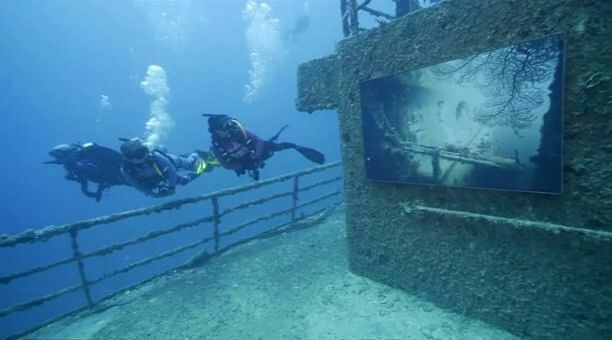 The images are exhibited on the deck of sunken ship General Hoyt S Vandenberg which sits in the Florida Keys National Marine Sanctuary, about seven miles south of Key West. 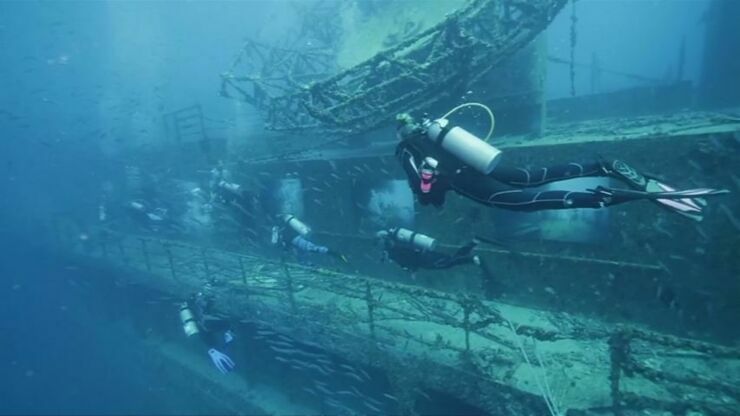 The ship, a former military transport and missile tracker was sunk to create the reef, the second largest in the world, in 2009. Franke's images are displayed on the 534-foot vessel behind Plexiglas with steel frames and sealed with silicone to stop waterlogging. 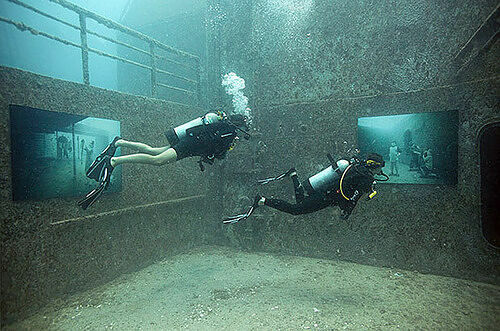 Marine life will start to settle on the artwork during the four months that they will be underwater adding the final touches to this amazing underwater art exhibition. 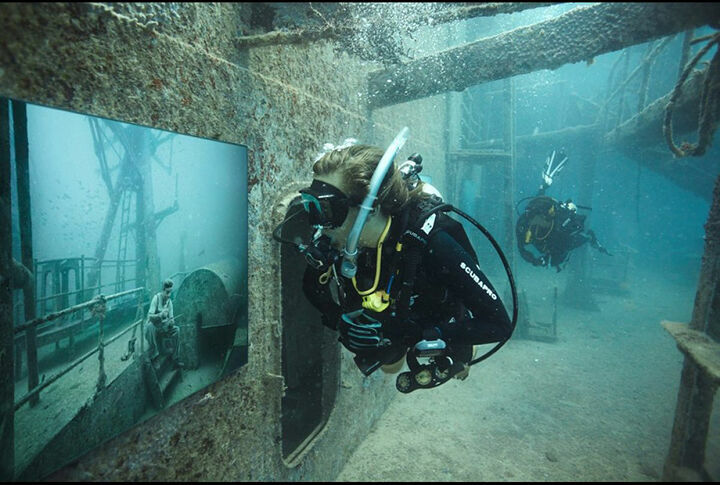 It's not the first time Franke has created an underwater exhibition of his work either, he had a show on the same submerged site back in 2011. 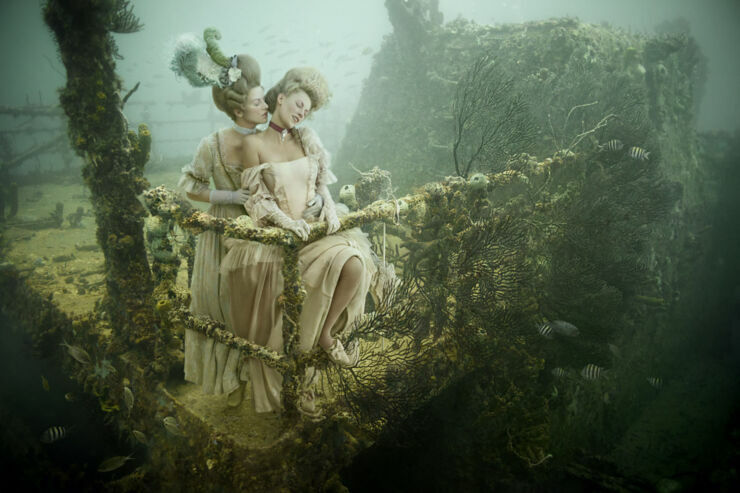 It all forms part of an ongoing series called The Sinking World, which show scenes from European culture and history. 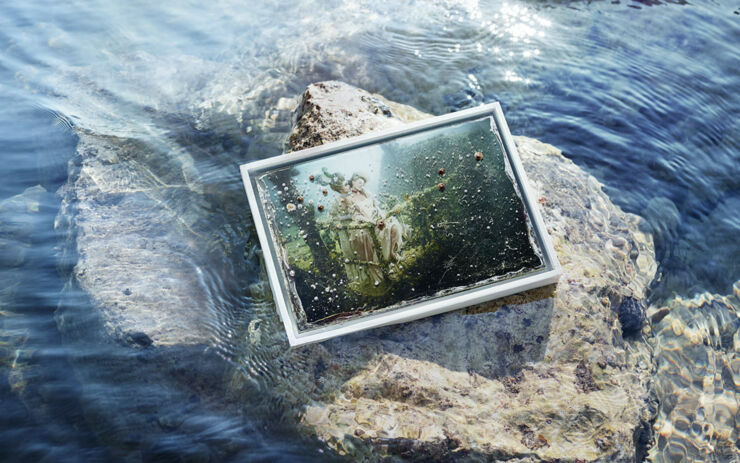 "With my photographs of The Sinking World, I want to pull the spectators into unreal and strange worlds." says the artist. "Ordinary scenes of the past play within a fictional space and become dreamworlds you can get lost in or you can identify with." Andreas is known for his talent for pushing the boundaries of photography, but diving is his passion.